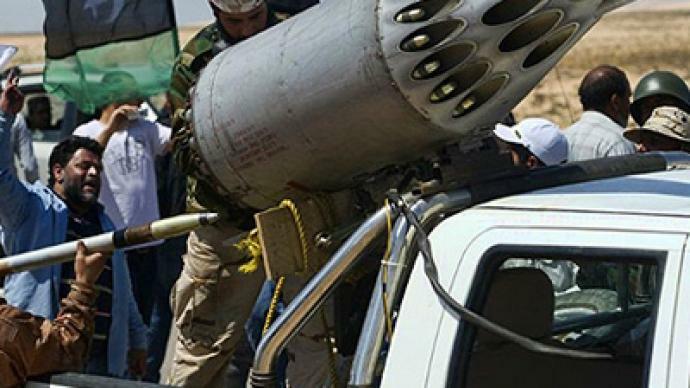 Government officials in Libya say their forces have shot down two rebel helicopters in the east of the country. This has prompted more questions over the effectiveness of NATO's UN mandated no-fly zone, while the rebels demand more help. 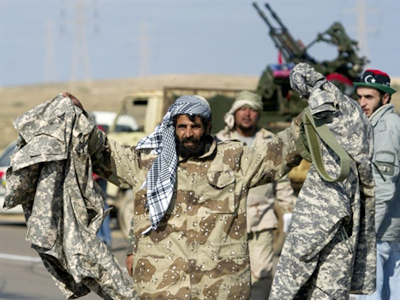 ­Meanwhile, the key city of Ajdabiya is the focus of a major onslaught by Gaddafi's forces. Doctors say at least eight rebels have been killed. 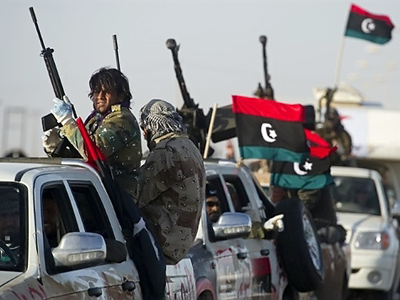 Meanwhile, NATO announced it has destroyed a significant amount of government ammunition near the capital Tripoli, as well as 25 tanks and other military vehicles around Misrata and Ajdabiya, Itar-Tass reported on Sunday. However, there is growing rebel disillusionment at the level of NATO assistance, and at the scale of friendly fire casualties. Since the alliance took over the no-fly zone, 20 anti-Gaddafi fighters have been killed and dozens injured by the raids. RT's Egor Piskunov has spoken to some of the rebels in the city of Benghazi. 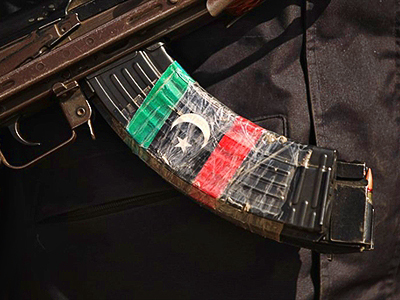 A veteran of the Libyan army Muftakh Abdul Ghani served his country all the way to retirement. Now he is fighting for the revolution and is among the few rebels at the front with military training and experience. “Our forces are not even. We are ready to fight to death, but with these weapons we don’t stand a chance against Gaddafi,” he told RT. Since NATO took control over the no-fly zone operation, its planes have made more than one thousand sorties into Libya, including four hundred attack missions. 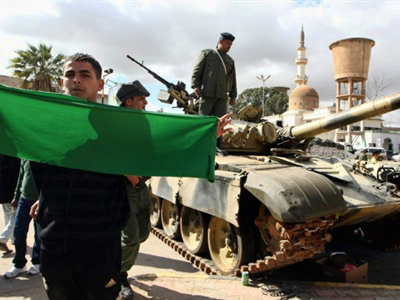 The alliance claims around a third of Gaddafi’s forces have now been destroyed. But despite the help from the skies, on the ground the rebels are still taking a pounding. Just a week ago Benghazi was full of revolutionary euphoria. It seemed the entire city praised NATO for its support. But with the frontline constantly moving back and forth, and the list of those killed or missing growing each day, the rage among many locals over the alliance’s current tactics seems to be rising as well. Protests are becoming a common scene. Many are accusing NATO of failing to protect civilians. They are not asking for help anymore, they are demanding it. “What are they waiting for? 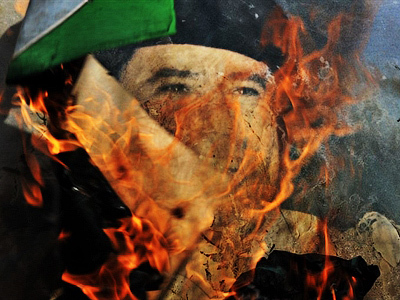 For Gaddafi to kill us all? We demand a new UN resolution which would allow arming us!” opposition activist Abdul Nasr Al Sharif said. But experts say arming the rebels alone would not help swing the war. “What the rebels need is not so much arms. They can use arms but without training they are not going to be able to do anything,” says author and journalist Barry Lando. Reports are now surfacing that the US and Egypt are covertly training anti-Gaddafi forces, going beyond the mandate of the UN resolution that established the no fly-zone.